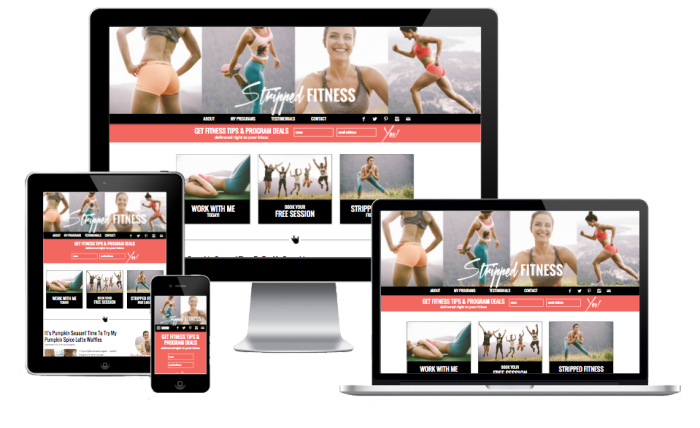 When Bridgette approached me to revamp her site Stripped-Fitness.com, I was really excited about trying something a little different. She’s a little edgy, a little rock-n-roll, so I wanted to give her something that pushed the envelope a little. Plus she had these GREAT photos. Check it out! Elisa came to me with a site in full swing but with a lot of ideas. 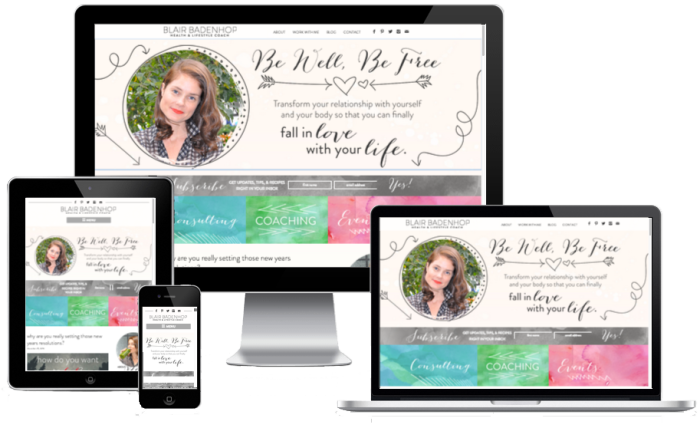 Since starting work together 8 months ago, we’ve completely revamped her header, footer, and lots of her homepage, added her optin, and even hooked her up with an online sugar detox course. She’s also a delight to work with! Check her out at CulinaryFarmacy.com. Hayley is an icon in the health-o-sphere. A leader in essential oils, an accomplished health coach, and a mother of two to boot, she’s just as busy as you might imagine. I wanted to give her a site that was clear, professional, and striking. I think we got it! Check her out at hayleyhobson.com!